When I tasted this dish many, many moons ago, I was struck by how creamy, melt-in-my-mouth, and tasty this was. I just had to have the recipe! I asked my friend for the recipe and was simply stunned by how .... well ... simple it was. Get this. 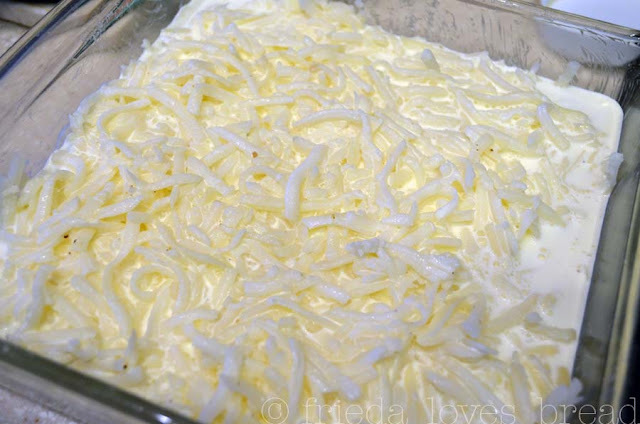 Four ingredients: shredded potatoes, whipping cream, salt and pepper! 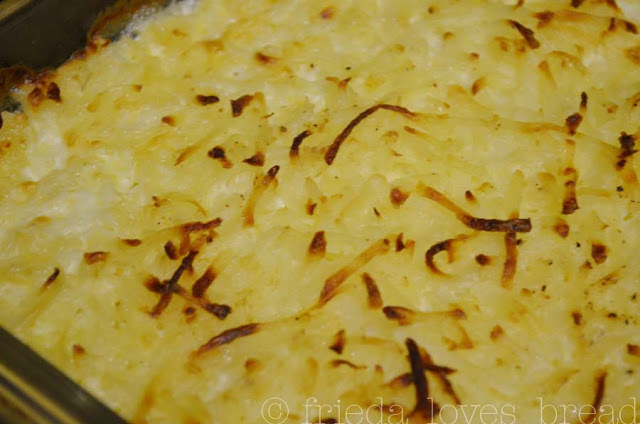 When you make this recipe from peeled, shredded potatoes, you have to rinse them several times in clean water each time to remove the starch, and pat them dry. 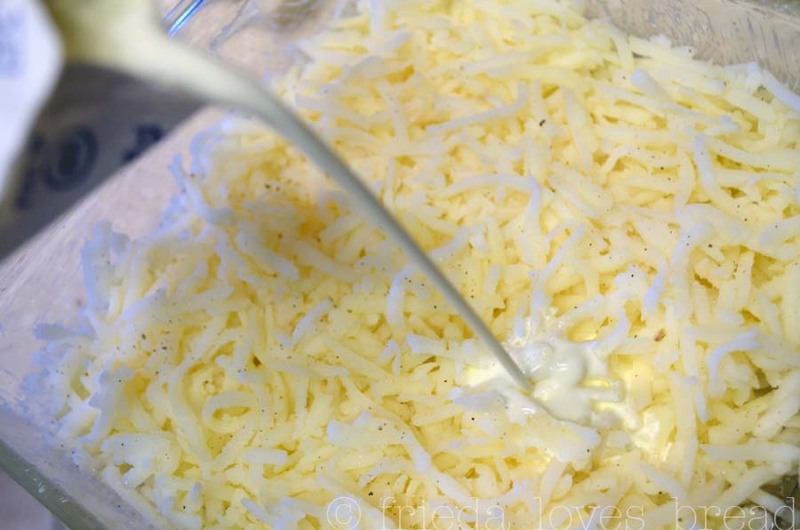 Thanks to Simply Potatoes and the FoodBuzz Tastemaker program, making this recipe just got easier and, well, ... simpler! First, you butter an 8"x8" pan. 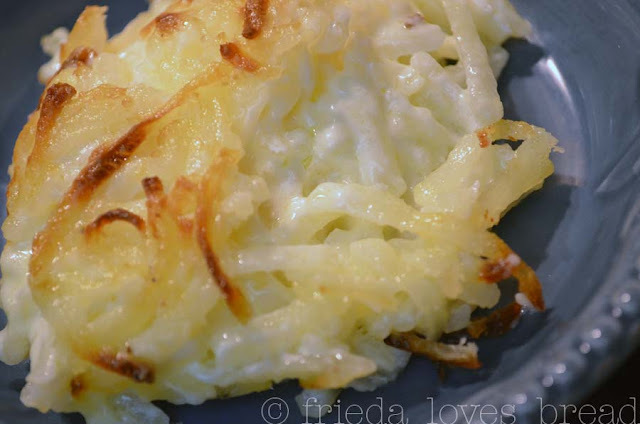 Layer a few shredded hash browns on the bottom, sprinkle some salt and pepper, and repeat layering, till you have used the entire package. 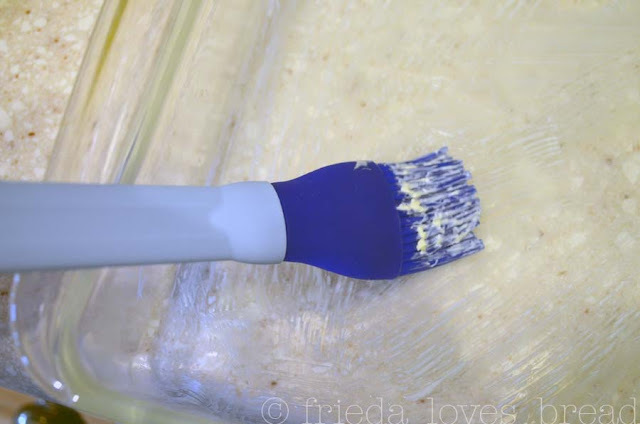 Pour 2 pints of whipping cream (or heavy cream) on top. 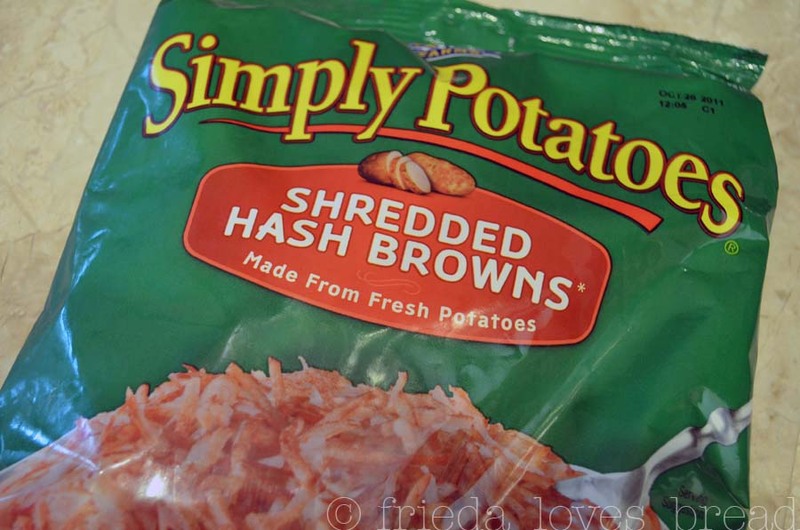 Want to win a year's supply of Simply Potatoes? A winner is chosen every month on the Simply Potatoes website. Go ahead and enter! I received a coupon for a Simply Potatoes product from Simply Potatoes through the Foodbuzz Tastemaker program. I received no compensation for this post. The recipe and the loaded calories are totally my fault. Enjoy! hahaha those are some serious treadmill walking potatoes! But they look so creamy and delicious. That's a definite comfort food! Those potatoes look amazing. I have my coupon and I'm going to have to revisit and get your recipe. So good. I've been making these for years...and they are delicious! I either mix in some grated cheddar cheese with the potatoes before baking, or I sprinkle some on top about 5 minutes before they are done. 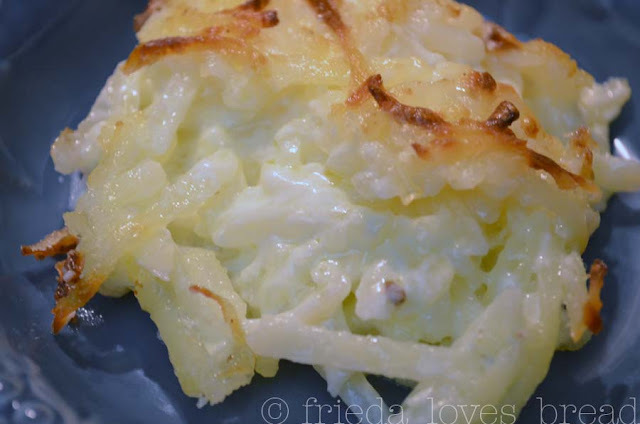 This recipe is gluten free...and I started making them for my daughter-in-law who has celiac disease...but my whole family loves these potatoes, too! Lars, your daughter is correct in her math skills! I have corrected the error on my recipe. It says 2 c. heavy cream instead of pints. Thank you for catching this!